Dimensions of Packaging (HxLxW): 4.75"x 2.938"x2.201"
The STANDARD MOTOR PRODUCTS Battery Current Sensor is designed to operate in either city or highway driving. 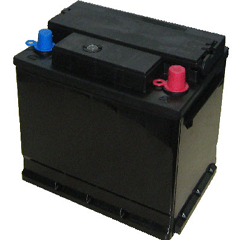 Dimensions of Packaging (HxLxW): 8.5"x 3.969"x1.5"
Dimensions of Packaging (HxLxW): 8.112"x 10.753"x6.759"
The ALTROM Battery Standard Automotive is designed to operate in either city or highway driving. Dimensions of Packaging (HxLxW): 7.25"x 10.75"x6.875"
Dimensions of Packaging (HxLxW): 7.5"x 15.5"x6.875"